20:00 – My holiday comeback special! 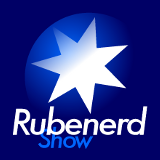 Talking about the new schedule for The Rubenerd Show effective immediently, where I went on my trip with my family and a review of The Coffee Works in Cairns, land reclamation, a one year old TV recording from the now-dead "Channel i" and the phenomena of "lost audio". Signed off with Magical Trevor.